I want to start reporting about my breeding projects with some more frequency again. 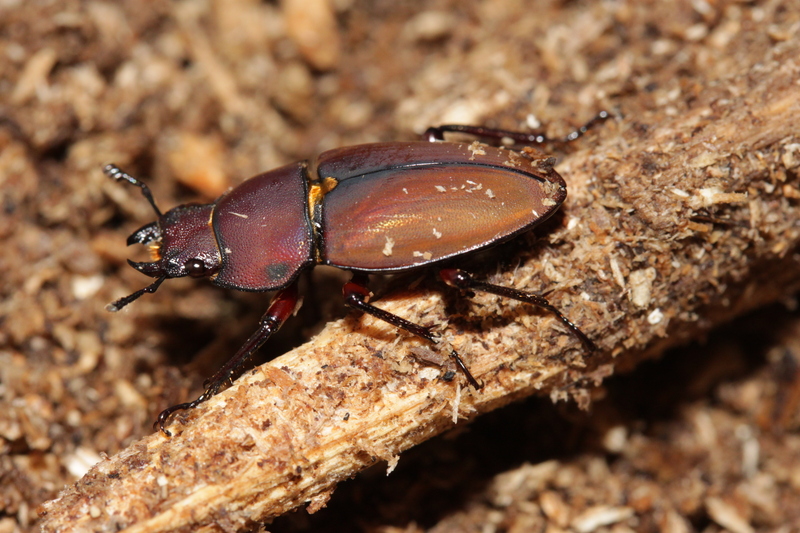 I think a good one to start with is Leptinopterus burmeisteri. This species is from Bahia in Brasil, and was considered quite rare. Specimen were rarely on offer and if they were, the would have been really expensive. They are relatively small, about 3-4cm, so spending a few hundred dollars for a single specimen seemed a bit steep. Luckily some living individuals made it into Japan and from there to breeders across the world. Luckily a few found there way into my hands. I did receive two pairs in August, which I set up in a 20 liter box, which was filled with white rotten wood sawdust (thanks again to Daniel Ambuehl for the help), and a piece of white rotten wood, buried in the substrate. 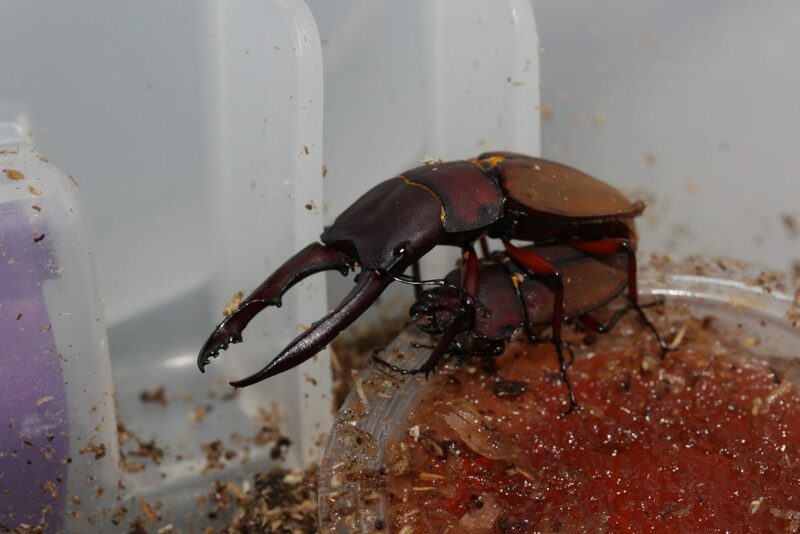 I fed the adults with beetle jelly, and exchanged the males every week, to assure that both females mated with both males. Normally, I would not set up two females in the same container for breeding, but the females are tiny (about 15mm). They are funny, as they are a very nervous species, and day active. Leptinopterus burmeisteri to me seemed like a stag beetle with a Cetonid behavior 🙂 I did witness tiny larvae (3mm in size!) at the container wall only 4 weeks after setting them up for breeding, and now already have L3 larvae. These are fast growers, and because they are small, I keep them communally in a 20 liter box. Growth on white rotten wood dust is really good. I keep Leptinopterus at 22 degree Celsius, and this seems to be a good breeding temperature. Depending on how long they take as L3, and how long pupal duration is, L. burmeisteri might be one of the species where you can have F1 hatch while the parents are still alive. I will report on this. 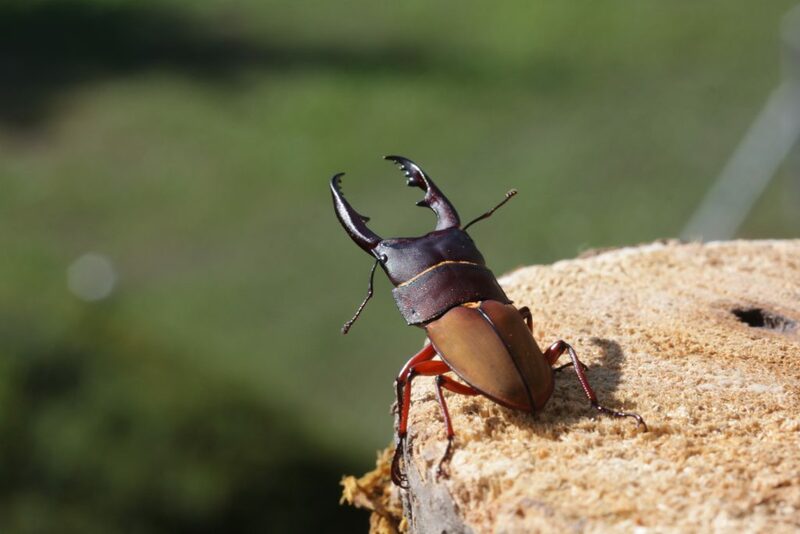 I hope these can become established in breedings, I would recommend Leptinopterus burmeisteri to everyone who knows how to breed Cetonidae on wood based substrates and wants to get into easy Lucanidae. Eggs are laid into the substrate, I think the wood piece is not even required. Lucanidae breeding doesn’t get easier than this. Loads of fun. I will update once the new generation hatches.